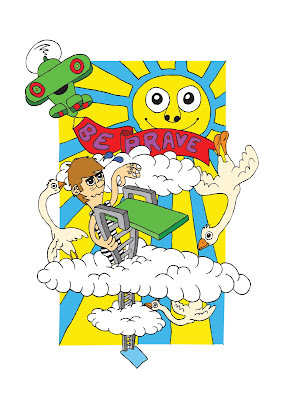 Turning scribbles, sketches and doodles into high art and humorous asides. New Zine Shop in Nottingham!!! Well, Philip dropped us an email and will be featuring in the upcoming issue of Constipated Rhythms, we're also going to be stocking his zine. 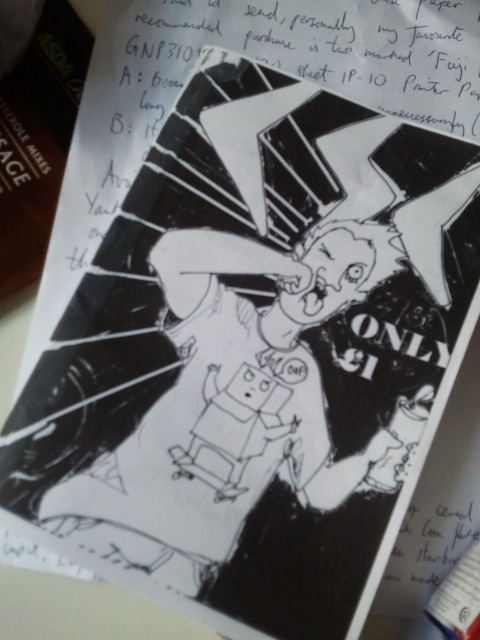 Which you will be able to buy through our online stuff and from zine fairs upcoming! But oh yeah, this is the crazy part. Anyway - check his stuff out - we dig! We had a blast heading up to Manchester this past weekend. The Victoria Baths is an incredible space now used as an Arts Centre. It was at one time a public swimming baths and the building is worth checking out on it's own. If you ever in Manchester go here! Huge thanks to Natalie Bradbury for putting on such a good day and to everyone who said hello and to Queen Chriszeenia for becoming an honorary UltraMember for the day/life and to everyone who bought some of our crap! THANKS! Ein Ultra Pferd in Berlin! 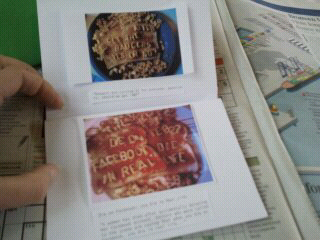 Picture of the package the wonderful people in Berlin will be receiving from us. Yes, I know I'm nearly a month late in putting this up, but hey, we're all friends here right? So it was amazing. 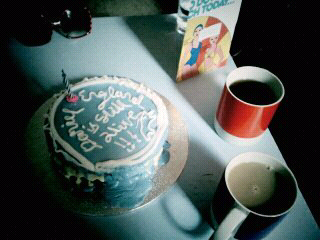 The standard of zines was out of this world, and the standard of cakes was average to good, but the best bit, as always was the people and other zinesters I met there. To name a few, Peg Powler from Teeside, Zeene from Loughborough with their hilarious zines, Larry Jaffee with his Eastenders inspired Wolford Gazette, and soo many more. Everyone was great, I just wish I hadnt been so chained to my stall and could have spent hours perusing the stalls. Next stop - Manchester! Bring it! Preparations underway at Ultra Horse HQ yesterday..
Today the ultra horsr team continued the preparations for London zine symposium.. Here's a few choice cuts. New For London Zine Symposium.. E.T Mini Zine box!!! 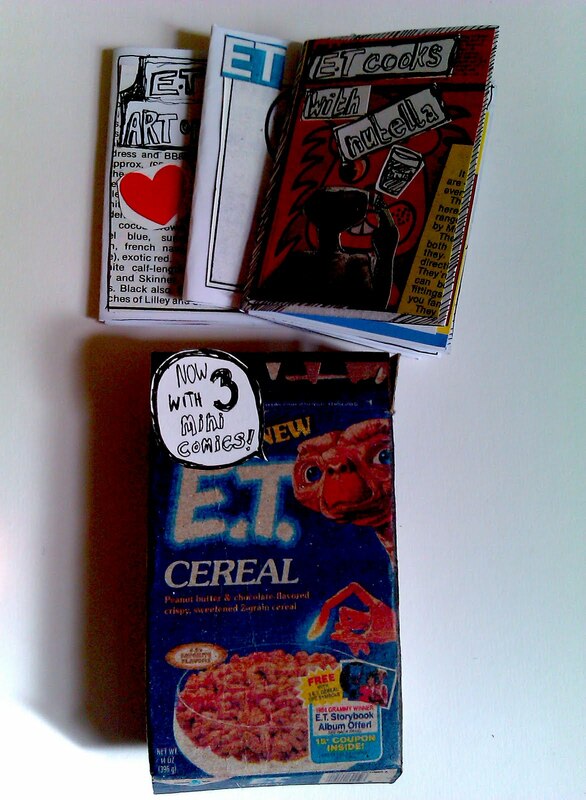 That's right folks it's another Ultra Horse mini zine spectacular, this time in the form of the killer E.T cereal packet housing THREE mini zines all with various 'How-to' by E.T themes, all in glorious techni-colour! 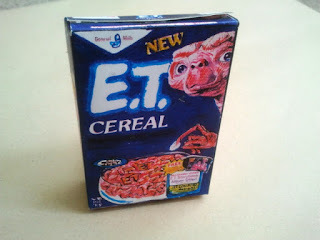 "E.T and the Art of Love" - Learn to woo that broad! 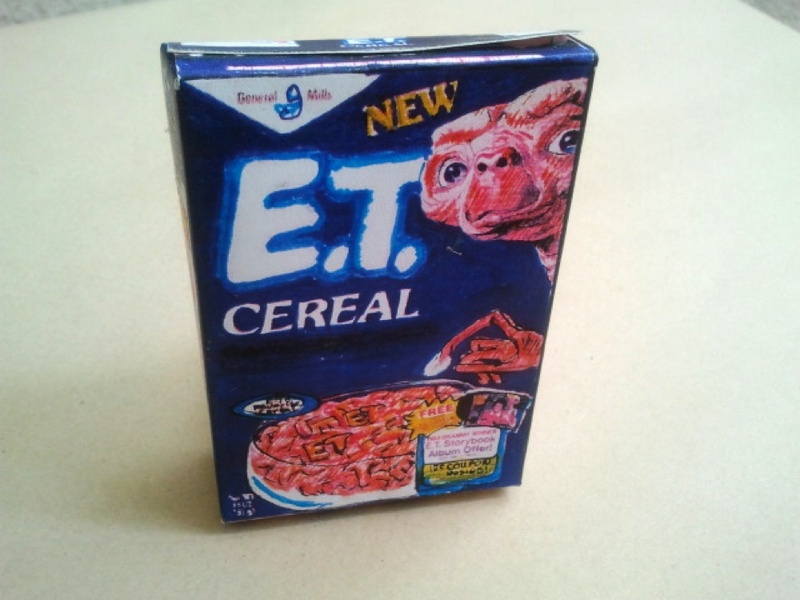 "E.T Arts and Crafts" - Learn to make a felt mouse, and other stories. Available at the London Zine Symposium this Sunday! 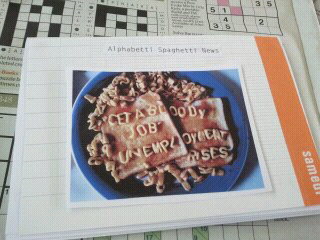 We have been following Betty Alpha and her alphabetti spaghetti news on toast for a couple of months and we are pleased to announce that Betty herself has produced a small zine of choice cuttings from the news on toast blog. You can see it at London Zine Symposium next sunday! 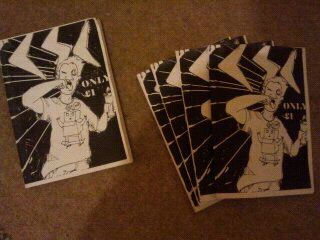 Cardiff Skateboard Club Zine rolls into town!! With highlights such as build your own video camera out of a toaster, and roid yourself up to the size of your nan's extension, this zine CANNOT be missed. 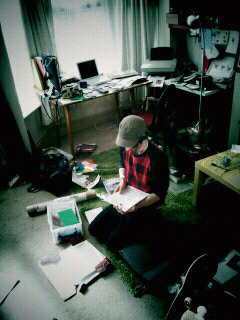 In fact I was thinking of photocopying some more copies myself just...because! I know one of the guys that wrote it (well two but, it was pretty dark) but if I hadn't, and I'd seen it somewhere, I would have got it anyway because, I don't know about you but, it's kind of refreshing to see a zine that's actually funny. There is some stuff about skateboarding in there too, one of these fine folks is the king of Crayon Skateboards, Dykey (nothing to do with being a lesbian at all) - based in Cardiff of course. Are you some kind of joker?! Than you should read this. 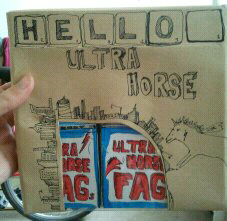 This is the latest zine to come through the doors at ultra horse HQ, one of my favourites so far. 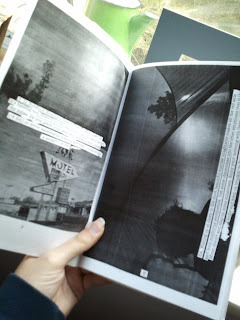 I love everything about this zine. 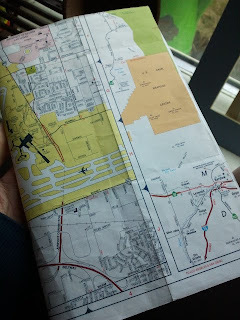 The cover is a cut out of a map of Las Vegas, (instant cool factor) and contains photos and drawings of these three girls' travels through the Southwest of America. Every picture makes you want to get on a plane and hire a truck and just disappear into your own dusty, sweaty American road-trip. It's not written like a normal travel journal, it's interactive in the way that it makes you choose your own adventure, giving you options at every turn, and a for each choice, you come to a photo of your chosen path - although there always seems to be a lame choice and a not so lame choice, the lame one resulting in going back and taking the not so lame one after-all. I love the pictures, and the insights you get into the girls personalities, which you discover are the girls you wish you'd met in high school. a) You want to take a road trip round America but you don't know whether to take the road trip, or buy a Subaru 2.6l Turbo. b) You have a brain. We've done an interview (by post) for ZEENE. 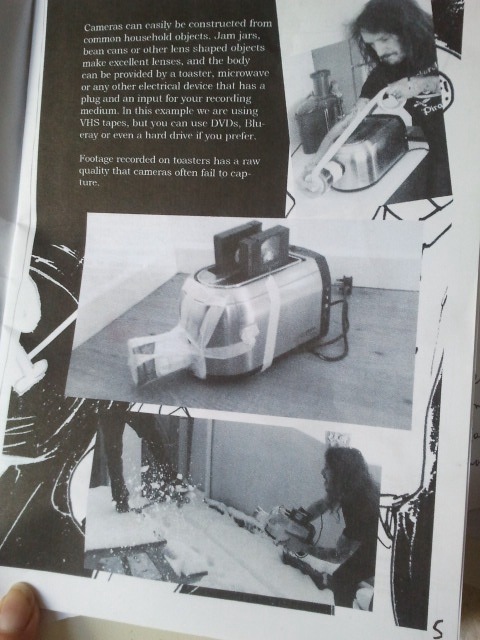 Also has a nice write up of Constipated Rhythms..which was swapped at London Zine Symposium last year. Zeene are going to be at LZS this year too! As are we! 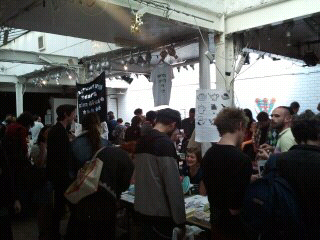 London Zine Symposium stall Confirmed! That's right folks, your favourite Nottingham based Zine conglomerate Ultra Horse will be galloping off to the London Zine Symposium on April 17th at the Rag Factory in Brick Lane, so please come down and support us! There's 60 stalls of zine makers and distros from around the world appearing so we're very lucky to have been selected. 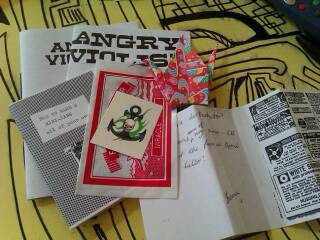 Lovely girl from Cambridge, who does a zine called Angry Violist (NOT violinist!) sent me these mega treats this morning. This girl is getting a blue peter badge for sure. Go visit her at her blog to learn all about the trials and tribulations of the viola in a well written and entertaining zine. How to Smoke while wearing mittens. A little 'how-to' vid for you, from the coldest place in the world. Ultra Horse own Brand Fags!! I love fags as much as the next man, and what better way to celebrate this than with a pack of Ultra Horse endorsed pack of delicious fags? Coming soon to a zine symposium near you! What's that? Cant wait? Well pop along to the Ultra Horse Big Cartel Store and keep your eyes and lungs peeled for them. You won't regret it! NB No actual fags are inside. Instead there's 3 mini zines on the subject of Kittens, France, and Animals of Farthing Wood all of extraordinary high quality. Shannon from Damn England on Vimeo. International Postcards from No-One - To Everyone. the_international_postcard_show is open! The opening night was all famous and exciting and they totally put our stuff up. If you are in Nottingham over the next 2 weeks pop in and check it out. Yes that's right, 2 ultra horse postcards will be appearing at the exhibition, you lucky things! Desperately Seeking Susan, with the body of a horse. 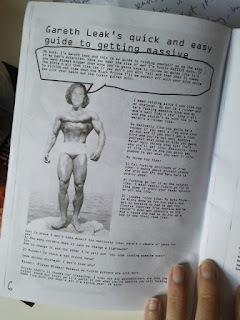 Ultrahorse is a Nottingham based Zine conglomerate helping each other make the best zines possible. We all also make jewellery, ceramics, play in bands, put out records - the lot! Do you do any of the above? 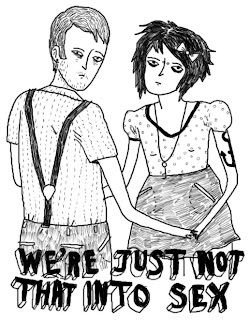 To contribute to any of our Zines..
To buy the pretty things we make..
To dress up as a horse and gallop around a field..
Lovenskate skateboarding, tea, zines, love.